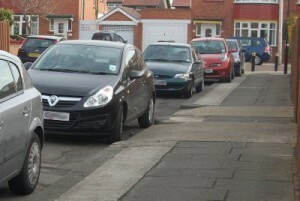 Most residents of Queen Edith’s will know that parking is a big problem in this area. Lib Dem councillors have for many years been calling for action from Conservative-run Cambridgeshire County Council, the council responsible for parking management and highways. Last summer the County agreed to set up a parking review group, to look at all of the south of the city, including Queen Edith’s, Trumpington, Romsey and some streets in Coleridge. Cllr Jean Swanson and I attended the first meetingabout a year ago, and since then Cllr Geoff Heathcock has represented Queen Edith’s on that group. The County officers have visited twice, once to our South Area meeting at my request and again to meet residents in Queen Edith’s. It was made very clear that people were impatient with the long delays and looking for solutions soon.